This guy attacked me when I had 8000 lp and used Big March. 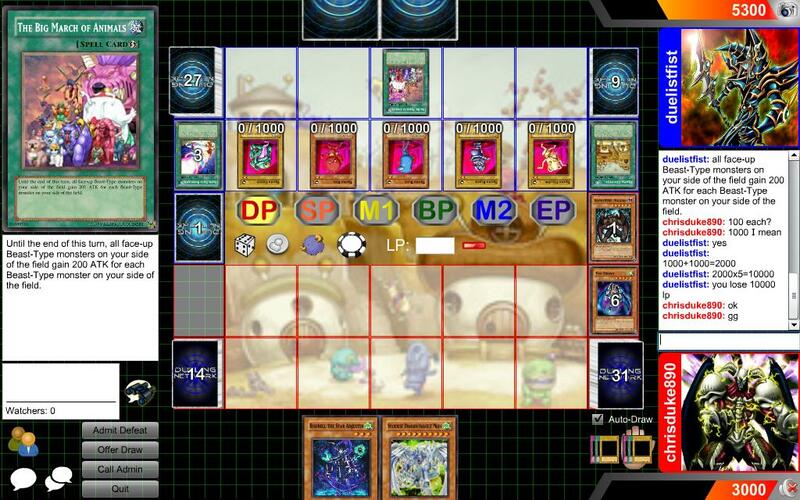 He said his monster got 2000 atk and that I lost. Was he right? not my fault for hand full of trickys stardust and malicious..
Yea all his monsters had 1000 ATK extra with big march effect and with the ATK/DEF switch from Ojama Country they all had 2000 ATK each. Ojamas can make for some pretty tough competetors, if played right. hold on....im tryna keep myself from laughing. Laugh it up little BOY, a small perspective on a topic will always amuse a small mind. You have to have a brain to feel pain there sister!